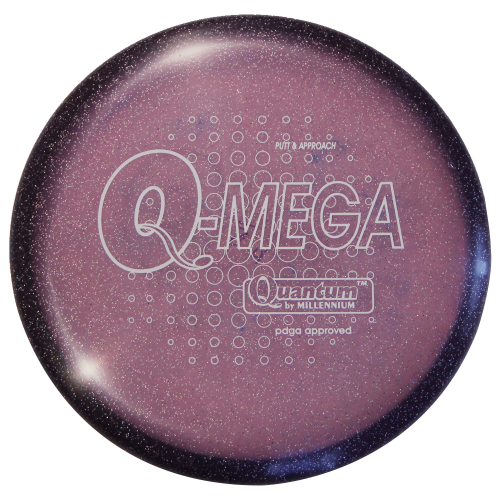 The Millennium Quantum Omega (Q-Mega) is a straight-stable putt and approach disc with the essential control of angle, direction, and speed you need for the game. Totally stable in virtually any wind, it is everything you want in a top-notch disc golf putter. The Omega makes a great putter and approach disc because it gives you total control of angle, direction, and pace – the keys to success in the short game. Even if you’re outside your putting range, the Omega has the precision to get up-and-down. Quantum is a premium plastic with the most durability for a long life of reliable performance; smooth and solid feel with a translucent appearance.